Rely on software that grows with you. First to the cloud, myQuorum Production Operations is designed to grow and scale with the needs of your business using proven technology from Microsoft Azure. Simplify even the most complex business scenarios with visual tools. Gain real-time connectivity between the field and back office. Access real-time production data from a mobile device. Learn how myQuorum Production Operations helps you manage by exception and spend time on activities that matter. After researching the tools available, myQuorum Production Operations showed itself to be the most mobile, cost-effective, and easy to use for the guys in the field. Proven methods for executing successful A&D projects when it comes to your drilling & production reporting. Capture and manage data from the wellhead to the balance sheet with the only all-in-one, fully-integrated solution for production operations on a common platform. Combine real-time production data with field data capture to understand what’s happening and why. With two-way communications to the operator in the field and read/write ability with SCADA devices, only myQuorum lets you see, report on, and manage all of your data in one place. Access production data on demand with cloud-based SCADA. Read how FDL and Quorum formed a strategic partnership that drives innovation on both sides. Increase data accuracy and efficiency of communication with full-featured field data capture that is powered by the Microsoft cloud. Increase data accuracy and efficiency of communication with full-featured field data capture that is powered by the Microsoft cloud. Real-time connectivity between the field and back office speeds decision-making that optimizes production. Capture production and water data, run tickets, downtime, reduced flow, maintenance, services, and more from a single application. Reduce data management complexity with all-in-one measurement that collects and scrubs data to produce quality output. Increase operational efficiency with all-in-one measurement for liquid and gas that reduces data management complexity by collecting, validating, and managing information automatically. Validation based on high/low limits, historic trending, etc. Improve volumetric and measurement data. Rely on Quorum BPO for all of your measurement needs. Empower operations and accounting with data you can trust using a proven allocation engine and interactive, drag-and-drop tools. Empower operations and accounting with data you can trust using a proven allocation engine and interactive, drag-and-drop tools. Combining advanced allocations with field data capture, operations management, and production reporting gives you an all-in-one view into performance and breaks down information silos. Learn why IDC says that modernizing product allocations is crucial to oil and gas. Reduce manual calculations and reconciliations with advanced allocations. Complete oil & gas accounting and administrative services supported by state-of-the-art software and experienced personnel. Get complete oil and gas accounting and administrative services supported by state-of-the-art software and experienced personnel. With a proven track record that spans more than 25 years, Quorum BPO professionals deliver services designed to help energy companies increase operational efficiency, improve business agility, and meet the demands of a changing workforce. myQuorum customers share their stories of how myQuorum has benefited their company. Find out how Quorum Outsourcing services can help increase your operational efficiency to meet the demands of a changing workforce. Are you just getting started? Explore myQuorum Production On Demand, cloud-based production management for small energy businesses. Rely on software that grows with you. Production On Demand is designed to grow and scale with the needs of your business, providing value every step of the way. 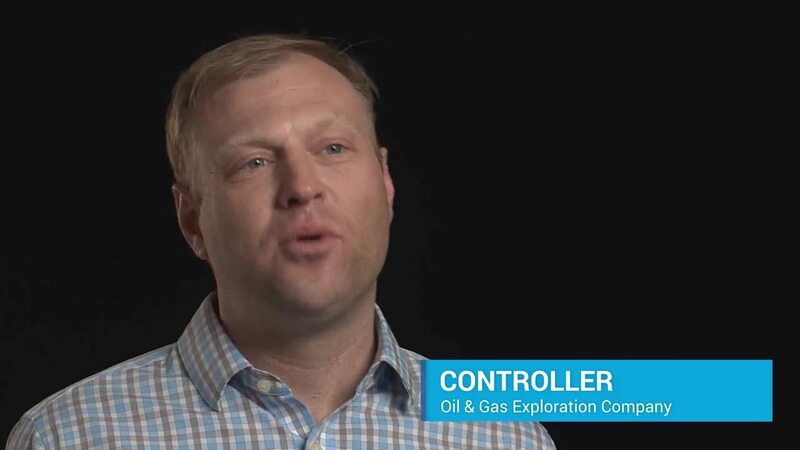 Terry Farmer, Fleur de Lis Energy's IT Director, discusses the benefits of cloud-based solutions for Upstream Oil & Gas Operations. Maximize production and minimize risk with on-demand access to accurate data, captured in the field and optimized in the cloud. View and analyze production data instantly with real-time monitoring and automation. Monitor devices, sensors, compressors, and facilities anytime and anywhere with cloud-based field operations. Capture and manage field data with an easy-to-use app that runs on any modern iOS or Android tablet. A single application lets you collect production data plus any and all field events using custom forms that let you convert paper forms and automate manual processes. See immediate value and savings. myQuorum can be deployed in a matter of days, without high upfront costs or expensive IT resources. Proven to deliver fast ROI in six months or less, myQuorum is the most cost-effective solution for real-time, web-based monitoring. Capture and manage data from the wellhead to the balance sheet with the only all-in-one solution for field operations. Trust one source for integrated field data capture, operations management, production reporting, production monitoring and automation, and liquid and gas measurement. We power it all with a purpose-built platform. Make decisions faster and confidently. Enhance efficiency. Mitigate risk. Improve your bottom line. From exploration to distribution, Quorum transforms every step of the energy value chain. Trust a single source for data accuracy and real-time insights. Manage the entire lifecycle of assets, from GIS mapping to mobile lease acquisition and web-based lease management. Accelerate decision making with a single source of truth. Connect the field to the back office for accurate production data, captured in the field and optimized in the cloud. Achieve operational excellence and maximize revenue. Manage complex allocation and settlement terms to minimize monthly close cycles and increase capacity utilization. Plan, monitor, and execute the transportation of natural gas and liquids. Rely on a single platform to eliminate manual processes, improve scheduling, and optimize inventory. Make quicker, more informed decisions to simplify supply and distribution operations. Gain a competitive edge with visibility into market impact on risk, supply, credit, and settlements. Start your company’s next evolution. Talk to our sales team to explore why Quorum is right for your energy business.